Many of us dream of making a legendary journey to Greece , but unfortunately is a luxury that not everyone can give. 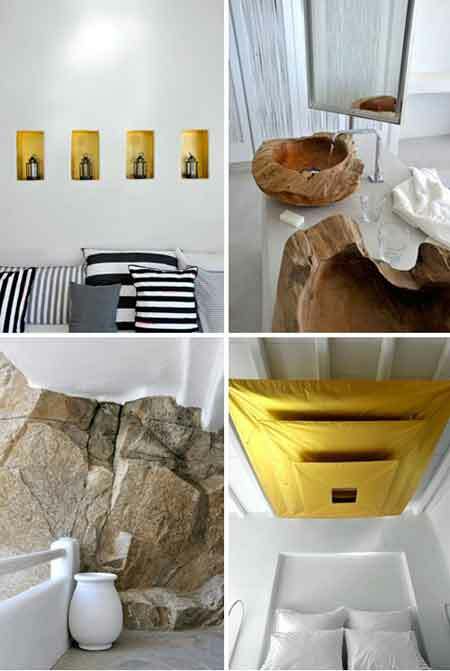 So that we were still dream of these luxury hotels are characteristic of the Hellenic Republic decor concept. 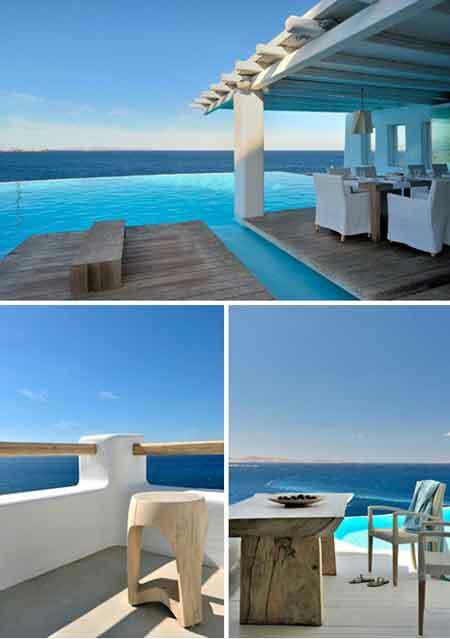 Cavo Tagoo is a boutique hotel on the island of Mykonos. The same is cleverly located on a cliff, and consists of several buildings connected by a maze of stairs, along the lines of the alleys of Mykonos. The hotel itself is modern and luxurious, but always respecting the traditional elements of the island. All rooms and suites have been designed to incorporate a contemporary aesthetic while remaining true to the traditional character and architecture of the Cyclades islands . This entry was posted in Theme Decor and tagged greek decor idea, Greek style and modern decor, modern decor concept, modern decor style. Bookmark the permalink.